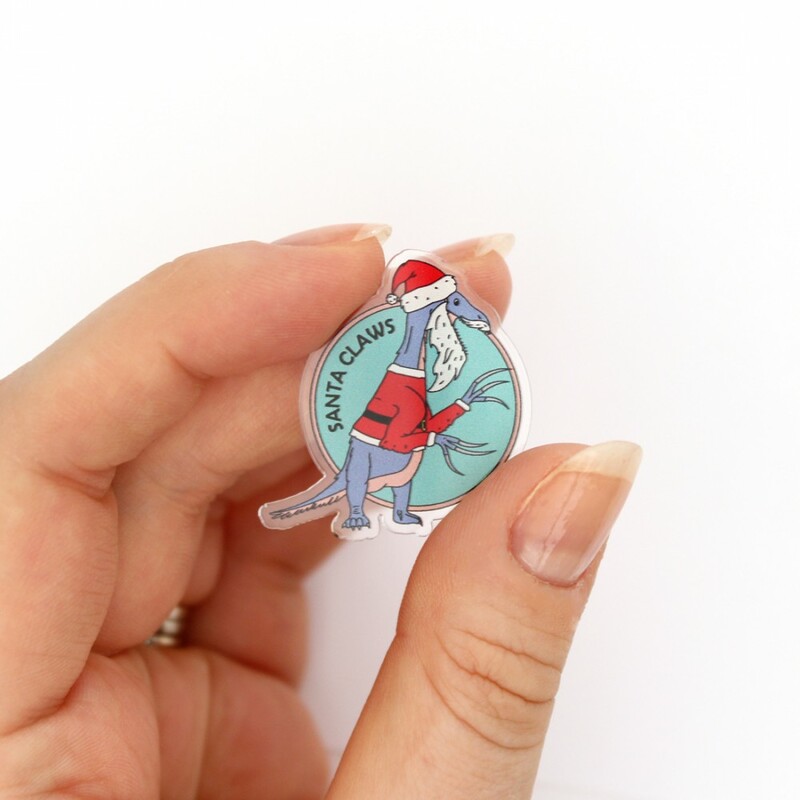 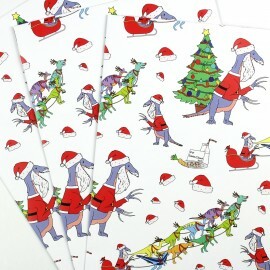 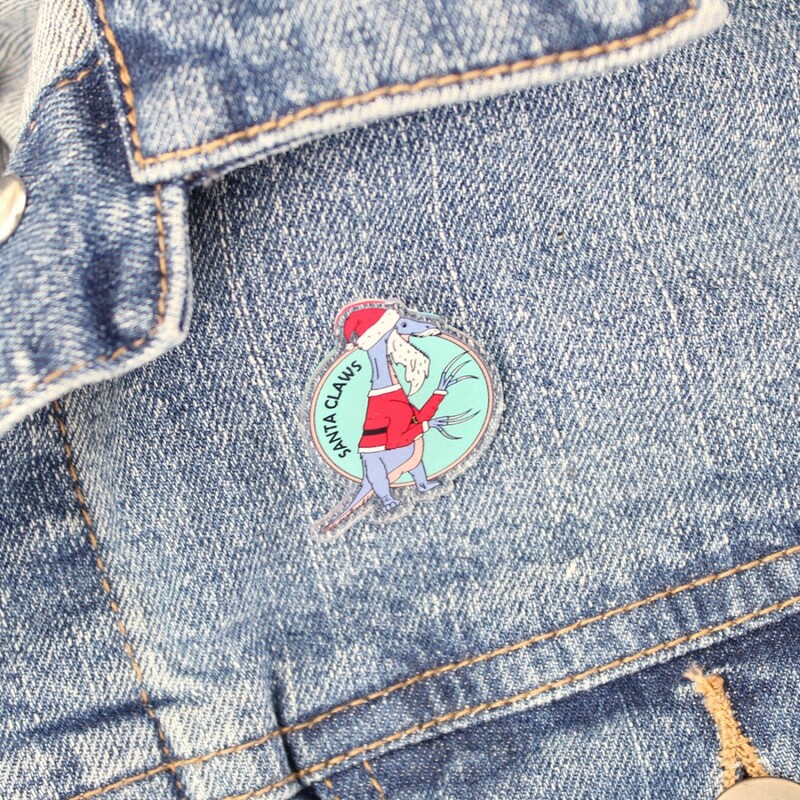 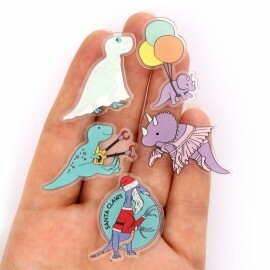 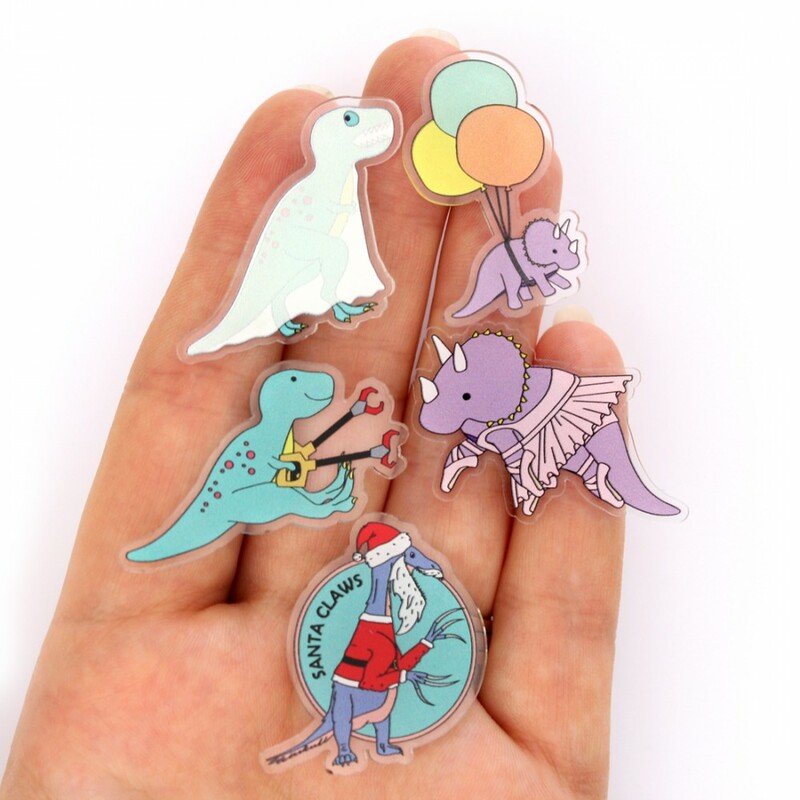 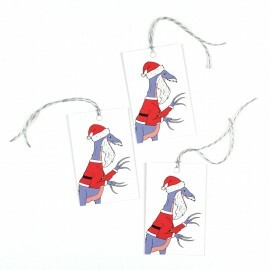 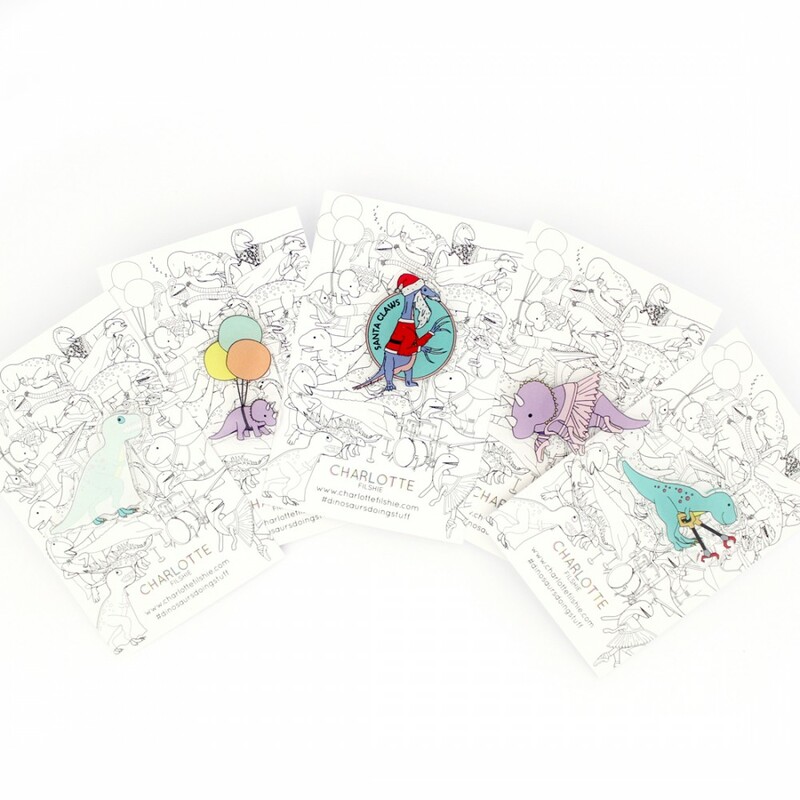 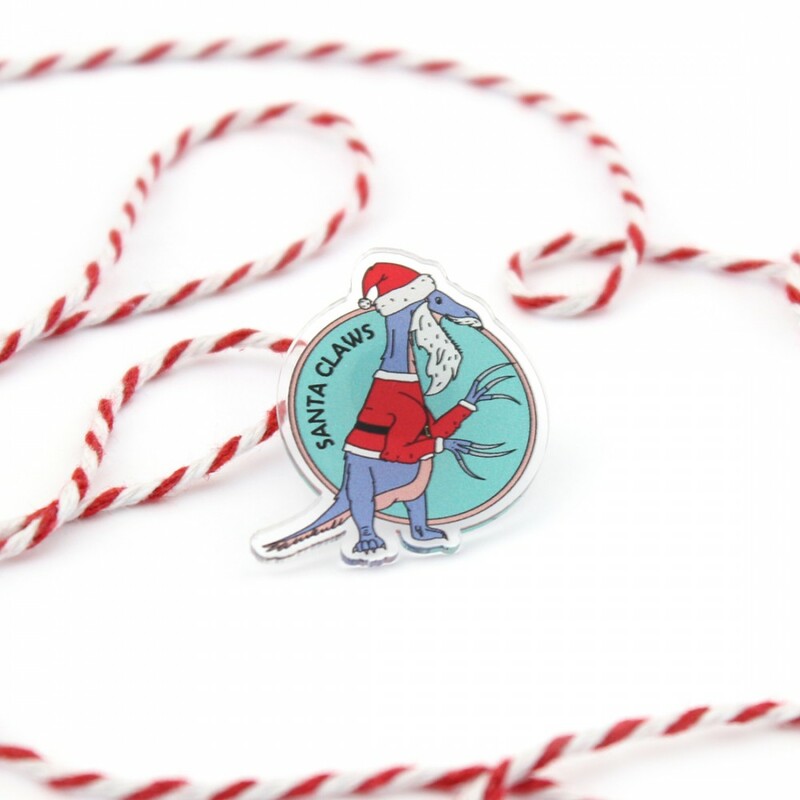 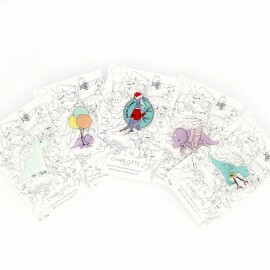 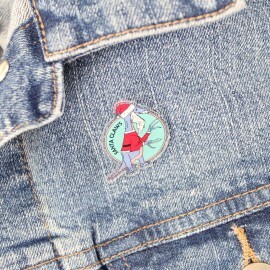 This cute dinosaur Christmas pin will make the perfect addition to your jacket or bag or even added to your stocking. 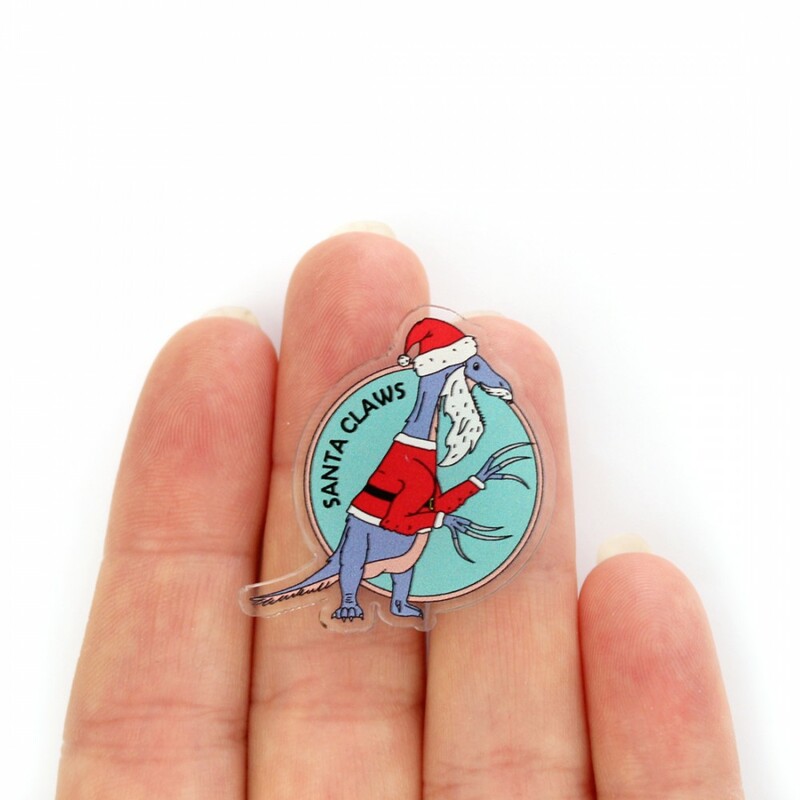 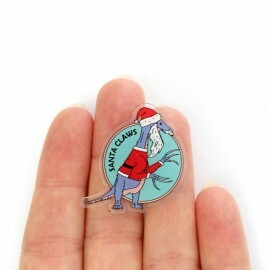 The pin features a blueish purple Therizinosaurs wearing a Santa Hat and coat on a mint background. 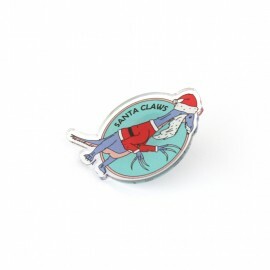 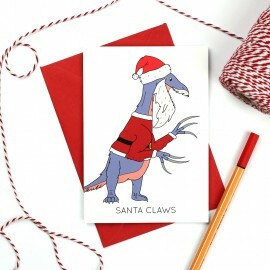 Around the design is the text 'Santa Claws'. 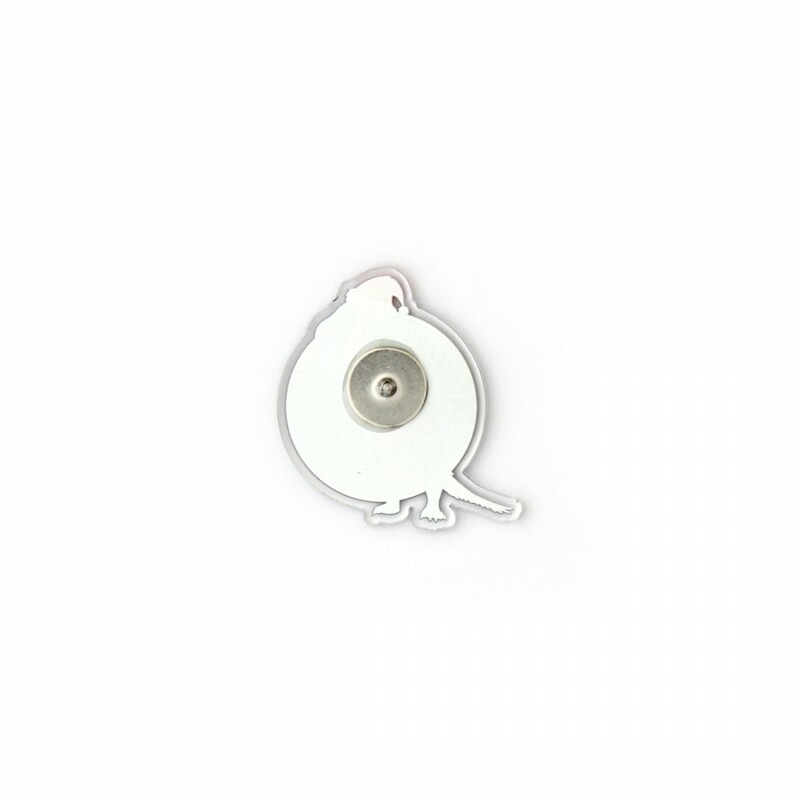 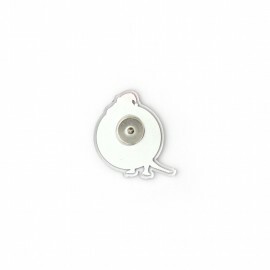 The pin is white on the reverse and has a tie tac pin backing with black rubber clasp.